Back when I was a kid in the 80’s and 90’s, the mall was the place to go on the weekends. I wasted tons of money at the mall, on stuff that no longer matters. Sometimes I’d ride my bike to the mall on Saturday, and pick-up a new cassette tape. Or, maybe I’d buy new tennis shoes. If I didn’t have any money, the mall was just a place to “people watch” and kill time. It was the place to go to see or “be seen” for teens in the 80’s and 90’s. Now, nearly 3 decades later, the retail landscape is changing dramatically. Malls all across America are dead or dying at an unprecedented pace. Is this the “death of retail” as we know it? Or, is the proverbial baby being thrown out with the bathwater? Could there actually be good places to invest in retail? Or, should it be avoided like the plague? You don’t have to look far to find the media predicting the death of retail stores. It’s easy to understand why — Every single major U.S. department store has had trouble lately. It’s not just Sears either — Macy’s, JC Penney, even Nordstroms is sucking it up. They’ve all reported terrible store sales numbers the last few quarters. Most department stores have announced significant store closures in recent months. Large numbers of specialty retailers have been closing too… many of whom have filed for bankruptcy. And this isn’t even in a recession! We’re in the “good times” right now — most people are employed and the economy is growing (albeit slowly). Could you imagine what this retail pain would look like if a recession was to hit? Meanwhile, online retail outlets like Amazon continue to show solid sales growth in 2017. Quite simply, retail stores are entirely dependant on foot traffic. 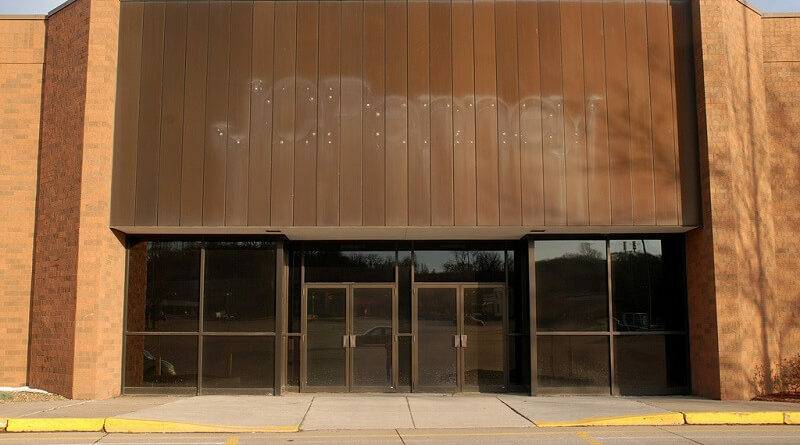 When large ‘anchor’ department stores close, at some point the death of a mall becomes a self-fulfilling prophecy. A department store typically takes up the largest amount of space in a mall, and it’s considered the “anchor” tenant that draws foot traffic. Typically there is one in every mall. The anchor department store also has the largest rent bill to pay, and is typically heavily indebted. In the past these retail stores were able to handle the debt load because of high sales levels (malls were very popular places to shop). Now, consumer behavior is shifting online, leaving brick and mortar retailers in a very bad position. 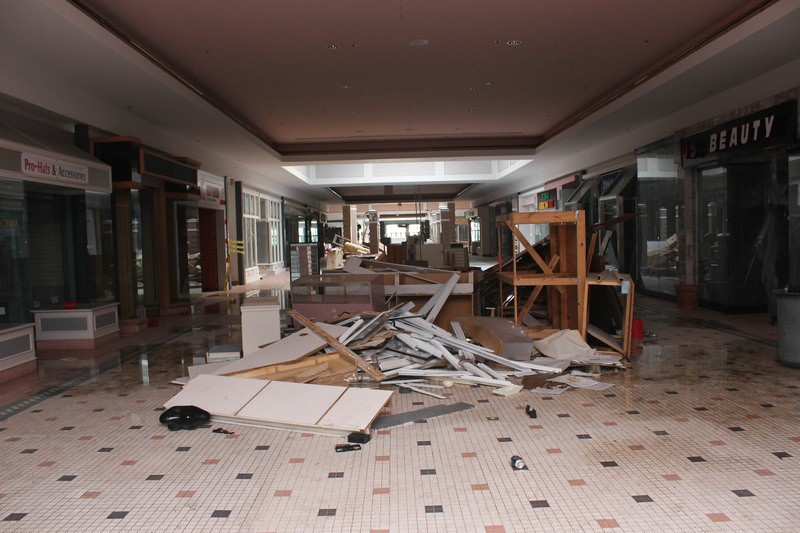 When an anchor store goes vacant, it often signals the death toll for a mall. This one is in Middletown, OH. Since the crash of 2008, consumers have begun shunning department stores for online retailers like Amazon or Jet — primarily because online retail offers convenience, better prices and wider selection. You could say online retail now offers a more compelling value to the consumer. Lower sales at brick and mortar stores forces profit oriented managers to close underperforming stores. Because there are fewer stores in the mall, foot traffic declines. This in turn drives out smaller specialty retailers, repeating the destructive cycle. Fewer stores begets even fewer stores. Interior of a dead mall in Chesterfield, VA.
Interestingly enough, I’ve had a first class seat to this retail trend — I happen to live only a few miles from one of these “dead” malls. It sat nearly vacant for years, with only an occasional “holiday” store, or carnival held in the parking lot. Essentially it became a “zombie” mall — never completely dead, but never able to draw the crowds inside its doors again. As malls close, the distance consumers travel to shop at physical stores, grows. Online shopping simply becomes the easier option… creating a self-fulfilling prophecy where brick and mortar stores continue to close, and online retail continues to thrive. Think you’re isolated from this retail disaster? Think again! Hidden within the S&P 500 are many mall owning REITs, including General Growth Properties (GGP), Macerich (MAC), Kimco Reality (KIM), Federal Realty Investment Trust (FRT), Simon Property Group (SPG) and several mall based retailers like The Gap (GAP), and Footlocker (FL). 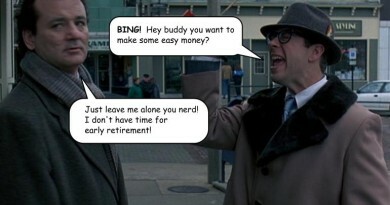 Even if you invest in index funds, you probably own some of these names. Most retail stocks are down for the year, and NPR reports that over 90,000 retail employees have lost their jobs since October. Ouch! That’s more than I can count on my tentacles. But that doesn’t mean all retailers are complete trash. A few are actually doing quite well. Non-mall based retailers, like Home Depot (HD) , O’Reilly Automotive (ORLY), and Costco (COST) have actually been able to grow sales and still provide enough value to draw physical customers. Freestanding retailers still seem to be doing quite well. Nobody is suggesting grocery stores are going anywhere either. Amazon’s “Fresh” online grocery store hasn’t yet been able to gain enough popularity to displace them. This all leads to the conclusion, there are some types of shopping that people prefer to do in person. Groceries, large “white-good” appliances, furniture, and even home improvement stores seem to be immune from much of this retail pain. 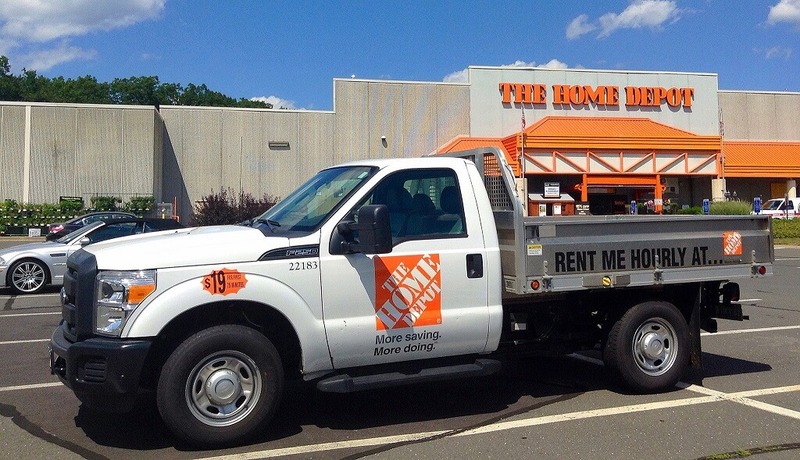 Some retailers, like The Home Depot are still thriving. They occupy a value niche that hasn’t been filled by online stores (yet). Will this kind of retailer be the ultimate retail survivor? Well, it’s hard to say who’s going to survive — the retail landscape is changing far too quickly. Despite all the hype you hear in the news, brick and mortar retail isn’t finish yet. There will definitely be survivors, but as a category it’s hard to predict. For every store closed, there will be capital losses, employee severance payments, and inventory liquidated at a loss. The stress on balance sheets and profitability is going to be significant. It’s going to hurt share prices. Dividends might even be cut! Which is exactly why we recently sold retailer shares in our portfolio. So yes, we sold our American Eagle Outfitters (AEO) shares recently. I threw in the towel. Despite posting generally positive sales results with no-debt, good returns on equity, strong insider ownership, decent online sales, and even a growing business, we sold our shares. I believe this closure trend is just too strong to ignore. 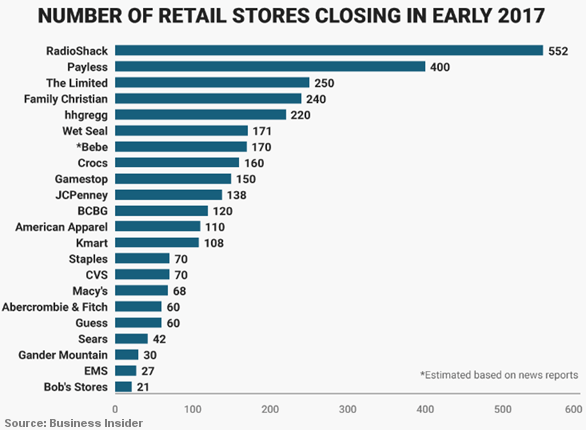 Inevitably, the giant wave of store closures is reshaping the retail landscape. This giant wave will catch even the strongest swimmers. As an investment, AEO wasn’t a winner for us. If anything, we only broke even after years of growing dividends and special dividends. They even paid a growing dividend through the 2008 Great Recession, but all that came to an end recently. This was a giant red-flag for me– dividends that don’t grow with inflation mean I take a pay cut every year. Couple that with store closures in places where physical stores should have worked, I decided it was time to get out of the retail game. Anyone who holds retail stocks (even if it’s one of the survivors) should plan on years of “dead money” ahead. Closing stores isn’t cheap, and it will inevitably destroy shareholder equity. Share prices of retailers could be down for years. 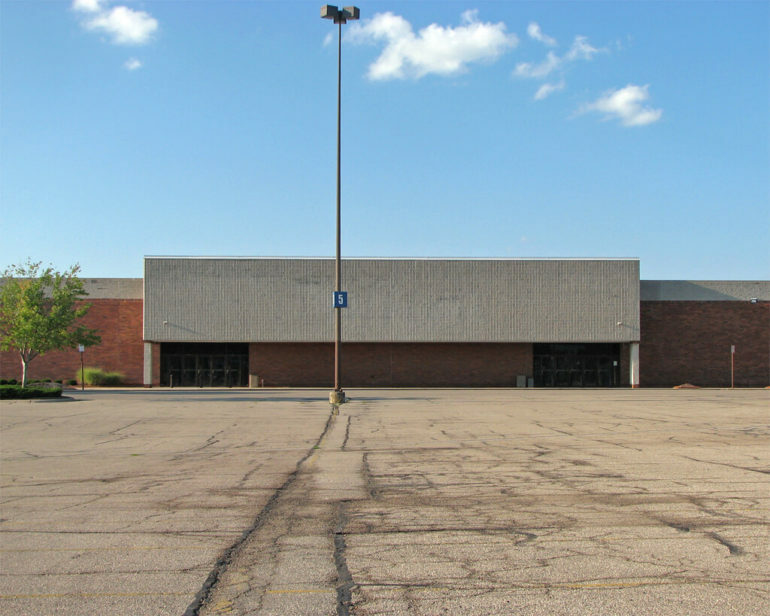 Inevitably there will be “survivor malls” in big cities, but I predict the malls in small towns and small cities will close (or simply be redeveloped). Small towns just can’t drive the foot traffic required for malls to stay open. Physical retail is going to get a lot smaller. It will probably be focused only in urban areas. I guess the great urbanization trend of humanity, applies to retail also. In the future, instead of operating 1,000 stores globally, a specialty retailer like AEO might only operate 200 physical stores — Just in major cities, essentially becoming a showroom for the online business. That’s not a transition I want to hold shares through. Capital destruction isn’t my thing. Instead, I plan to re-deploy the money into businesses with growing sales and growing dividends. Afterall, I do have a 2017 dividend growth goal to meet. If you’re still invested in retail businesses, I wish you good luck over the next few years. Change is often the enemy of good investing returns, and the retail world is definitely a changing place. Perhaps a good idea is to redevelop some of these malls into housing units with their own local grocery store, bar/café? Such a waste to see these dead malls fall apart. Business opportunity anyone? Since we are on the topic of retailers, curious to know your opinion on Target. Many bloggers have been picking up share lately, but for the above reasons I don’t dare burn my fingers on that company. Time will tell who’s right! whoever comes up with a workable scheme to repurpose zombie retail space will become very, very rich. housing makes sense b/c rents are trending higher and vacancy rates are low, but it could be something completely different. i’d keep my eyes open for the first REIT to figure this out. I see a lot of “trying different strategies” right now (check out the redevelopment link in the article), but no clear winner for what to do with the real estate. I imagine it would be hard for small towns to absorb that much “new” square footage on the market. That redevelopment story is actually pretty neat, some really cool examples how you can still use the space. Like the micro apartments/indoor farms. Target is one that’s tempted me too. They do provide a lot of value, and in some cases are the low cost provider. That’s a powerful competitive advantage, but it’s not consistent. They’re behind when it comes to online sales. Stores will probably close. 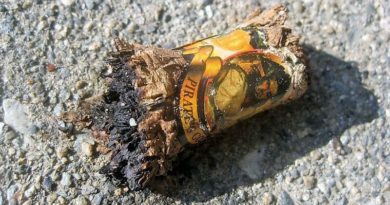 Ultimately I think they’ll have a similar fate as Walmart — they’ll survive, just smaller. Online operations will have to be a bigger part of the business. We have a number of “dead” malls near us too – but then they build more strip malls down the road. It seems crazy. They are getting ready to “re-image” a mall near us into a large outlet center. I’m not really sure that will cut it either – or if it is just a step along the path to closing for good. There is a dead mall near my previous apartment. On my way to work (closer to a big city), they opened outlet stores in the fall. Only from people who have gone there, they aren’t outlet prices. They’ve also been putting in single family (very close together) houses & townhomes, starting in the 400’s. Yet there isn’t a grocery store in the outlets. Part of why I wasn’t interested in moving to that county is I get a spendy vibe and weekends spent at the mall was common work overheard conversation. I’m happy in a place I can afford with a district park near by. Two gas stations across from each other keeps prices competitive, and one has free air! My favorite shoe store, Payless, is closing their stores. I’m very sad about that. I read that they can’t compete with sites like Amazon. My husband and I shop on Amazon a lot, but I still find it challenging to buy shoes and clothes online. I’m waiting for the day when retailers try and make us promise not to try on shoes at their store only to buy the same ones over the internet. My tentacles like shoes that fit, but at great prices. I read of one store in Australia that had a problem with people show rooming hiking or ski boots. These take a fair bit of staff time to get just the right size and style. People were then taking the information and buying on-line cheaper. The store began charging a $50 fitting fee that, I believe, was removed if you bought the shoes. I can’t remember the last time I was in a mall. They seemed to be an endless stream of ladies clothing stores featuring a lot of the same things at inflated prices. I found mall shopping unfulfilling and exhausting and I never seemed to find what I was looking for. Trudging around and overheated from wearing outdoor wear — no good memories really. I like the idea of the fitting fee. I wonder if that sort of thing will catch on here. To shop, you have to hope that you’ll eventually find what you want or are looking for. After walking empty-handed out of the third store, one feels their time has been wasted and doesn’t want to waste any more. Plus, if you dislike the current fashion, there’s no point in going shopping for a year or two until the madness ends. I sometimes wonder who thought such-and-such style was attractive and decided to buy it for their stores. I think this falls into the category of “better get used to it”. Payless is done. They probably should have sold shoes on Amazon instead. Based on how much I live through the good graces of The Most Benicifent Amazon (All Hail Prime! ), the death of the retail mall doesn’t surprise me. I have THINGS to DO! Also, thanks to the results of your recent “pants experiment” (thanks by the way) I will not be needing clothes as often either. Thus the industry continues to decline like ⛄️ On Fire. The 90’s are coming to a close. No more mall hang outs. I guess it is common with generations as they change. In the 50s people hung out at drive in diners and now, we don’t do that. We hung out at malls and now kids hang at coffee shops. I would sale American Eagle too but they did have a bump yesterday. It’s dropping like a rock today. Off 10%. Called that one I guess. I visited a real live bricks and mortar store last week! I went to Barnes & Nobles, because we had a birthday party the next day for a book lover and Amazon wouldn’t arrive in time. It was like traveling in a time machine – there was an incredibly helpful staffer, she listened to two sentences describing what this birthday boy liked, and she instantly found countless books he’d like and which I’d never have found on my own (someday Amazon might match this woman’s lateral thinking, but not today). The sad thing is that’s probably the only purchase I’ll make at B&N this year. I don’t think my $35 is going to cover much rent or salary expense. 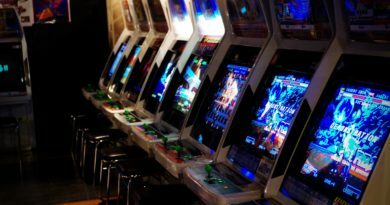 I think you’re right that traditional retail is in a world of trouble, but I think we’re going to realize we’ve lost something when it’s truly gone. Barnes and Nobles is one of those zombies that just won’t die… I honestly don’t know how they manage to stay alive. Nobody shops there anymore. “Hidden within the S&P 500 are many mall owning REITs”. And that’s the beauty of indexing. Mall owning REITs are in the S & P 500 but so is Amazon. And that’s why we index instead of picking individual funds. When brick and mortar stores get hit, Amazon profits because they’re now getting the lost business. Indexing mitigates for exactly situations like this. I think do think that retail is on its way out. It won’t go completely because there will always be people preferring to go to an actual store rather than shop online (just like there will always be people who prefer physical books over e-books), but with Amazon making it easier and easier to get free shipping and free returns, it now saves time to just buy it from them rather than have to drive to the mall. I actually don’t remember the last time I went to BestBuy to pick up electronics. It’s always been from online. While it is true that Amazon is picking up some of those lost sales, it won’t capture all of them. It certainly doesn’t make up for capital destroyed during this whole process. Humanity isn’t efficient. There’s going to be a lot of wasted money closing the stores and knocking down the malls. I love index funds too, but they’re not perfect investments. I will never forget that. It’s really interesting to compare the situation in the States with other countries. When retail in the States on its way out or way to change, in Russia it’s completely opposite; retail has been growing for the last 10 years like crazy. Recently I’ve visited Sochi, Russia, it was my firs visit since I’ve moved to the States and I couldn’t recognize the city. Instead of parks, soccer fields or recreation areas now you will find huge malls, stores and shops. You can short individual holdings by the proportion held in the index to reduce exposure to it. A lot of people I know have done it for SNAP which was added to the Vanguard Total Market index for instance. Interesting strategy! As long as it’s done in the right proportion that would work well. I have Walmart and Target. I think they will do okay for a while. Amazon is good, but I still like going to Target and Walmart better. We have one of the new small Target in downtown and they are always busy. Once they transition to that model, I think they will do okay. The big Target stores in the suburbs probably won’t survive. Walmart is cheaper and Amazon is more convenient. Home Depot is probably safe too. When you’re doing home improvement, you can’t wait a few days to get the parts. I always have to make multiple trip to the hardware store whenever I work on something. I’m with you Joe. Walmart and Target are probably the only retailers that could give Amazon a run for their money. In many cases, they’re the low cost providers, and have very efficient distribution systems. If anybody can put up a good fight, it’s them. I’m one of those 90,000 employees affected by the current turmoil affecting the retail sector, as my position will be eliminated in June (to no great surprise, as my department has been shrinking steadily over the years as vacant positions stayed vacant). Fortunately, I have been dividend investing for several years and while I’m far from reaching financial freedom, I am in a good financial position. What angers me most isn’t the loss of my job, but our parent company’s (one of the nation’s largest grocery retailers) absurdly slow and timid entry into online commerce. The few steps we’ve taken should have been done 10-12 years ago. Upper management is either inept or conservative to the point of being severely risk averse. The Wal-Mart and Amazon juggernauts have been inexorably moving forward for years while the company has failed to act. Well that’s not entirely true, as they have been responding to the situation by eliminating redundant positions and cutting expenses. It truly takes a lot of business acumen to do that. Amazon has its place when it comes to buying things but so do these retail stores. Personally I only buy things from Amazon if it’s significantly cheaper than the local retail stores and shipping is free. It will be interesting to see how the retail space performs over the next little while. Speaking of retail space and Amazon… didn’t Amazon started a beta grocery store in Seattle? I love the convenience of shopping online and having stuff show up on my doorstep rather than going to the store to get it. Amazon Prime is the most ingenious idea and continues to get better. I’ll take that any day over heading up to a mall or crowded store. When Amazon was a little younger, it appealed to me enough that I bought stock in the company just because I like ’em. I bought it at $76/share and we’re now pushing $1,000/share. Great return (if I sell), but I only bought 13 shares so I’m definitely not retiring off of it! Congrats on owning Amazon early-on! I’m definitely an online-shopper myself. Most things I order online these days, unless I need it immediately. I really wish I could convince myself to buy Amazon shares. Sadly, I cannot. The math always just looks silly. If I can’t trust the math, what can I trust? Tailored brands is my favorite retail company. Management made some blunders like the Jos. A Bank acquisition and partnering with Macy’s on the Tux rental shop. However the valuation is cheap and Men’s continues to throw off a lot of cash. Even with people not dressing for work as much, I cannot see ever ordering a suit off the internet for weddings or funerals. Interesting idea. Just offhand, I’d say the debt levels look really high. That, and there’s a huge number of shares being shorted. Be careful! I started buying AEO back in 2011. After seeing their path forward I decided to hold tight. Their online sales and Aerie brands seem to be lighting the way for growth. As i sit now the total investment is down 25% with a cost basis of 14.93 after averaging down a little yesterday. It will be a good case study to look back on a few years from now. By me, they are repurposing malls. Colleges, dr offices, and farmers mkts are using the space. It is better than them standing abandoned. I am happy I sold my reits tilt. I now just have them as part of the s&p 500. As long as the zoning laws support it, that sounds like a good way to repurpose a dead mall. Just offhand, do you know if the average rents are lower after redeveloping? Intuition tells me it’s highly likely. Great post! I wrote something similar a few months back. The situation is much worse than people realize. I’m surprised that chart didn’t include gander mountain and stride rite. Stride Rite just closed almost all of their stores to become online only. We lost our sears last fall and loosing gander mountain right now. Its becoming common to see big names having liquidation sales around here now. I like your comment about seeing where it ends. Which stores will have to maintain a physical presents. However, most never thought you would ever buy shoes online. I don’t think that retail is entirely dead – As there are shopping centers around me that are still vibrant. I think the problem of contention is giving people a reason to come – be it good food, a nice ambiance, or something else. Regardless, I would be worried if I was the owner of a shopping center. I do think that amazon however, is extremely disruptive in this space. As far as my REITs go, perhaps some of my mortgage reit shares will suffer. However, I don’t plan on selling anything and plan on just continuing to buy & hold. As a civil engineer who just spent this past Monday and Tuesday at RECON (Retail Convention) in Las Vegas with 37,000 of my closest friends, retail is thriving. Your idea of retail that your are projecting in your article is just one part of the retail spectrum. Why are you not including the 8,000 starbuck stores in the US? Should we talk about the revival of burger joints (Five Guys, In n Out, Smashburger, etc)? Have you been to a new Arby’s store? Cellphone stores Verizon, Sprint, AT&T. Burrito places. Craft breweries and tap houses. Fitness stores and work-out places. Did you know that Gold’s Gym is now Vasa? We’ve been helping developers convert areas of parking around older malls into pad sites which adds more square feet to an existing mall. Have you noticed malls are adding multi-family housing to their sites? Also the Millennials are the largest generation ever in the US. Remember it is always supply and demand. If the millennials can shed some of their debt, hold on cause they are going to spend. I think you captured the point I was making perfectly — There’s only *certain kinds* of retail that are dying out. Others are still thriving despite all the negative news. This is such an interesting topic to me. I work in the retail industry for a large department store. Amazon is taking dead aim at clothing and apparel, and online has been growing steadily to take away store margins and traffic. I do think there will be a shift but in 3-5 years things will find a new normal and the winners will shake out in any retail sector. I think having stores that act as shipping locations/return locations can be a huge win for stores if they can leverage it correctly. The other major problem in apparel is the self inflicted wound of always being on sale. The margins have been steadily coming down because of promotional activity, and buyers are smart enough to notice. There is a lot of scrambling going on right now, but companies with great balance sheets, great customer service, and a welcoming store will still do fine. In malls our company is pushing developers every day to reinvent the mall and make it an experience. We are starting to see that and many of our stores are still posting gains in this current trend. In the end, I feel Amazon will be a great disruptor that shapes and changes retail in a way that is beneficial to the customer, and there is nothing wrong with that in my opinion. I didn’t know things looked so bad for Payless. That was one of my most frequented stores as a teenager. I think malls are just a very out dated concept and yes they are on their way out. But thankfully, I am hopefully something better is on the way in. Ahh, that mall in Middletown OH brings back memories of my youth :). While I’m sure online commerce has delivered the final fatal blow, to be fair, that mall was struggling before that. At one point, it was basically the only shopping in that area. Then a Meijer was built. Then, there was a Target, Kroger, Wal-mart, Lowes and all the other little places. Personally, I like to shop online when possible. Especially when it saves me time and money. I like being able to look up what I need on several sites and compare prices without the hustle & bustle of other shoppers distracting me. I also do a lot of buying online and then picking up in the store. As a non-car-owner, online shopping is life-changing. I don’t have to drive to an enormous parking lot to walk through a huge store to see if they have something in my size that is not ugly. Retail that does not adapt to changing times is destined to die. I am very curious what will become of the abandoned malls. Maybe amusement parks can reclaim them? Retailing has changed our lives so much in the last 5 to 10 years, I wonder where we will be in 10 years time. I don’t think I could imagine.